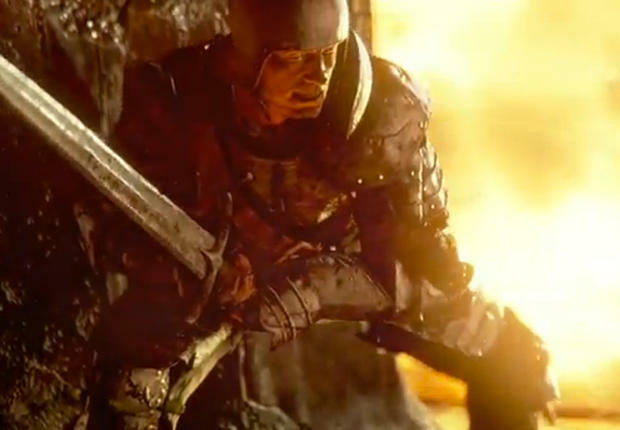 Back in February, Capcom announced a new IP during the PlayStation 4 reveal called Deep Down. We, along with pretty much everyone else, believed this to be a code name for a sequel to Dragon's Dogma. However, Capcom has come out and stated that the two games have nothing to do with one another. Capcom USA Senior Vice President Christian Svensson took to Capcom-Unity to put the rumors and theories to rest. "No new DD product has been announced so there's nothing I can comment on there. For reference DR3 and Deep Down have nothing to do with Dragon's Dogma." The reference to Dead Rising 3 was in response to whether or not Deep Down would be an exclusive title much like how Dead Rising 3 is going to be exclusive to the Xbox One. There you have it. Deep Down is not the sequel or even a spin-off of Dragon's Dogma, but you can hardly blame us for thinking so. The two boil down to similar graphical styles, medieval RPG themes of knights and dragons, and even the same abbreviations: DD. The aesthetic might be a slightly more Western, but what Capcom game isn't nowadays? Beyond that, the only thing we know about Deep Down is that it will run off of Capcom's new Panta Rhei graphic engine and that it is confirmed for a PlayStation 4 release. Nothing has been mentioned about an Xbox One release yet, and it was a no-show at E3 this year.